When faced with the prospect of creating a presentation do you wince at the thought of using that pre-installed program you’ve already got sat there? The good news is there are a plethora of new programs and software available to make your presentation and its creation easy, efficient and professional. Picking out the perfect software for you and your presentation, however, can be a task in itself. That’s why we’ve compiled our list of the top five presentation tools available right now. Presbee is a new online presentation tool that combines all of the best parts of classic presentation software with innovative features that put it above any of its competitors. As Presbee is browser-based, it is accessible anywhere you are and allows you to create engaging presentations whilst also offering Remote Meetings that allow you to broadcast to unlimited users and share two-way communication. This also means you have the additional benefit of full visibility and control over attendees. The sheer amount of editing power you have over your presentation using Presbee is astonishing, from their expansive image bank to the array of transitions and animation possibilities as well as the ability to create non-linear presentations. All of this is combined within an easy-to-use interface. Presbee also provides you with additional security features, including security over your I.P address and the option to restrict access to your work to those who have already viewed your presentations. Finally – and one of the things that push Presbee to the top of our list – is that it provides detailed analytics of who viewed your presentations and when allowing you to tailor your communications and expand your knowledge. Some people love PowerPoint. Some people loathe it. And I’m pretty sure we’ve all sat through a dull, slow, boring slide show presentation at some point – that may be the reason so many people seem to sit in the anti-PowerPoint camp. However, PowerPoint has many redeeming features, the main being that even if you have never created a presentation before, you most likely are familiar with the Microsoft format and the software is simply easy to learn how to use. You can create a presentation quickly and also collaboratively, which is a big bonus if you are working in an office setting, or on a group project. Visually you can alter the look and feel of your presentation through the text editing features, the insertion of images and graphics and a selection of transitions. Once you have learnt how to use PowerPoint, it won’t take you long to master it, which is an attractive feature if you will be producing a lot of presentations and don’t need complete creative control. 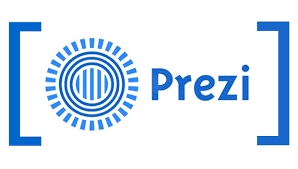 Prezi could be seen as PowerPoint’s rebellious younger sibling who decided to observe Microsoft’s classic slide show based offering – and do the complete opposite. If you view a slideshow created on Prezi you will most likely be told a story in a dynamic, non-linear fashion that will take you back and forth from point to point. This is probably Prezi’s most attractive feature, although it is not for everyone. Prezi gives you a choice of professionally-designed templates and also the option to incorporate lots of images, charts and multimedia options. The web-based tool can be accessed from anywhere and on any device, and also allows for easy collaboration on projects. If the classic format of Powerpoint just turns you off and you want to impress your audience visually then Prezi may be the choice for you. However, do bear in mind with the free version all of your presentations will be made public and you are given limited storage space unless you upgrade to a premium plan. Haiku Deck is another online presentation tool that is probably as simplistic as can be. Whether you choose to use Haiku Deck on your iPad or iPhone through their app, or through their web-app, you will be able to create a presentation from one of their templates in no time at all. The app also takes care of formatting so you don’t have to worry about spacing or sizing your text. Haiku Deck has a massive bank of images for you to choose from that are licenced under Creative Commons so they are all free to use, so you can easily find the perfect image for your presentation. Haiku Deck’s privacy settings are also simple, as you can choose to make your presentation Public so that anyone can view it and it will pop up on search engine results, Shared, so only those who you share the link with can view your presentation, and Private, where it is only for yourself. If you go for the free version of the software, however, all of your presentations will be public. Haiku Deck offers different levels of price plan to suit your needs. Emaze sits between PowerPoint and Prezi, in that it aims to upgrade your ordinary PowerPoint presentations to be more visually stunning, yet not to completely throw away the rule book in the way Prezi has. 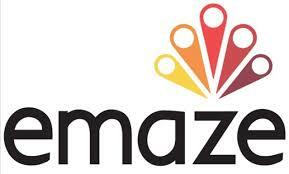 Emaze allows users to create PowerPoint-style slideshow presentations or more creative three-dimensional patterned presentations all by using templates provided. You can incorporate video backgrounds, 3D zoom and live data in your presentations while the software itself is relatively easy to use. As with the other online based presentation tools, we have listed you can also easily access your presentation on any laptop, tablet or smartphone and as it is Cloud-based, you can access it anywhere online. Are there any other Presentation Tools you think we should have included in our Top Five?